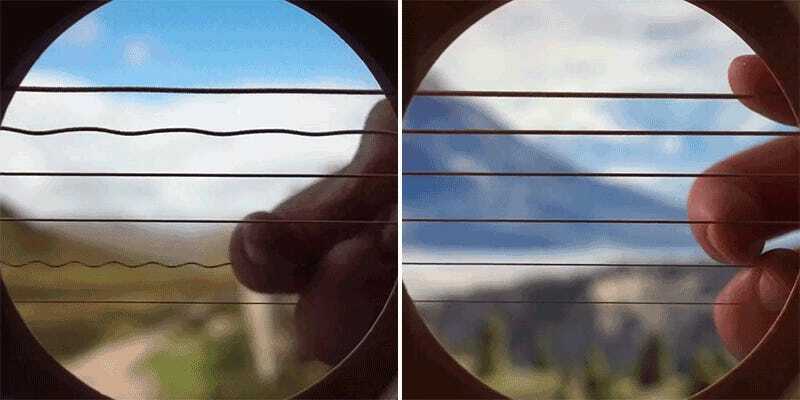 By mounting a small camera looking out the sound hole of his guitar, musician Alan Gogoll was able to capture the oscillating wave patterns as each string was plucked. 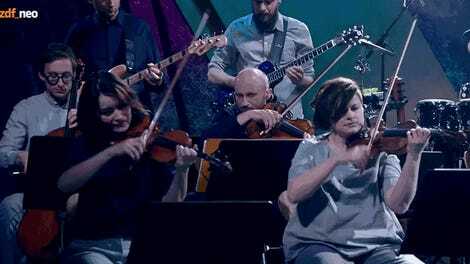 The result is a performance that’s as captivating to watch as it is to hear. Cramming a camera inside a musical instrument will almost certainly reduce its ability to produce rich, clear tones, but Gogoll is clearly a talented performer who doesn’t seem hindered by the modification in any way. If anything, it adds an entirely new dimension to experiencing these performances.